What Is the Whistleblower Protection Program? Home > Employment Law > What Is the Whistleblower Protection Program? Posted on: September 27, 2018 By: Christopher Brown, Esq. A whistleblower is an employee who discloses information that they believe is evidence of illegality, gross waste or fraud, mismanagement, abuse of power, general wrongdoing, or a substantial and specific danger to public health and safety. When information is classified or otherwise restricted by Congress or Executive Order, disclosures are only protected if they are made to the proper and secure channels. Whistleblower retaliation is when a company or the employer takes actions that censure the employee for them reporting misconduct. The Whistleblower Protection Program protects the employee when they report workplace violations. As a result of this reporting or questioning of misconduct, if you have experienced (or have been threatened with) an unfavorable administrative decision, then you have experienced retaliation. Retaliation of whistleblowers is prohibited in most workplaces. Retaliation can also include harassment in the forms of failing to renew a contract, lack of promotion; withdrawal of privileges, such as access to training, or marginalization through the loss of responsibilities. While whistleblowers are protected by law from whistleblower retaliation, the laws vary among different industries. For example, federal employees are protected by the Whistleblower Protection Enhancement Act (WPEA). Whistleblowers who are working in corporations that are traded on the New York Stock Exchange are protected by the Sarbanes Oxley Act of 2002. In the food industry, certain employees are protected under the Food Safety Modernization Act (FSMA). Depending on your state, protection from firing as a result of whistleblowing can only apply to particular laws that you believe your employer has broken. Some states offer protections for any law, regulation, or ordinance, while others only offer protection related to environmental regulations or labor laws. The government agency Occupational Health and Safety Administration enforces the Whistleblower Protection Program. They enforce the provisions of more than twenty whistleblower statutes including protecting employees who report violations of various workplace safety and health, airline, commercial motor carrier, consumer product, environmental, financial reform, food safety, health insurance reform, motor vehicle safety, nuclear, pipeline, public transportation agency, railroad, maritime, and securities law. Rights that are afforded by whistleblower protection laws include worker participation in safety and health activities, reporting a work-related injury, illness or fatality, reporting a violation of the statues herein, to name a few. The Occupational Safety and Health Act of 1970 (OSH Act) was passed to prohibit employers from discriminating against their employers for exercising their rights under the OSH Act. These rights include filing an OSHA complaint, participating in an inspection or talking to an inspector, seeking access to employee exposure and injury records, reporting an injury, and raising a safety and health complaint with the employer. Since the passing of this act, Congress has expanded OSHA’s authority to protect workers from discrimination under 22 federal laws. This program was created to protect those who decide to speak out against wrongdoing and not allow them to be unfairly punished for doing the right thing. Reporting a wrongdoing to the wrongdoer does not necessarily constitute whistleblowing. Whistleblowing involves the disclosure of information that is a violation of law, rule or regulation, gross mismanagement, gross waste of funds, abuse of authority, or a substantial and specific danger to public health and safety. The disclosure must be specific and detailed. It cannot just be vague recollections of wrongdoing regarding broad or imprecise matters. Protected disclosures are only those that are made as a part of the employee’s normal duties outside of normal channels, disclosures an employee made outside of assigned duties to a person’s in a position to correct the alleged abuse. If you have reported the misconduct of your employer, there is a chance your employer could retaliate or try to intimidate you instead of taking the correct action to solve the problem. 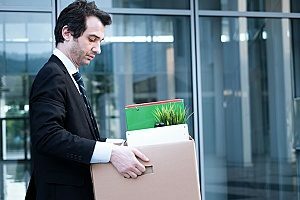 Your employer may increase pressure and discipline you on your job performance, cut hours, diminish your role within the company, demote you, or fire you. You can be unfairly placed under more scrutiny for your whistleblowing actions. The professional and personal problems that result from whistleblowing should not be tolerated and you should seek the help of an employment law attorney for more information about your case. If you report your employer for whistleblower retaliation, OSHA will conduct an investigation to determine if the retaliation is in violation of the OSH Act, Asbestos Hazard Emergency Response Act, or the International Safe Container Act. If it is determined that whistleblower retaliation has occurred, the Secretary of Labor may sue in federal district court to obtain relief. If it is determined that the whistleblower retaliation was not in violation then the complaint will be dismissed. If the evidence supports the employee’s complaint of retaliation, OSHA will issue an order that requires the employer put the employee back to work, pay lost wages, and provide other possible relief. After OSHA has issued their decision, the employer and/or the employee can request a full hearing before an administrative law judge of the Department of Labor.